Keep informed about our appearances in global tourism events / exhibitions and the release of new products. Web B2C (hosted on the cloud) for excursion reservations (linked with Multi Travel Excursion for Windows) Let final customers all over the world book and pay online for your excursions. Search for an excursion, book 1 or more excursions with immediate payment by credit card or Paypal. Web driver application (2 parts) (linked with Multi Travel Excursion for Windows) The driver has a tablet or a smartphone and runs the web driver app. After logging in, the driver can see the excursions / transfers he has to do during his day (Required) By selecting an excursion, show all the pickups places with time and number of pax to collect for this excursion. By selecting a Pickup Place, show all the pax to pickup, possibility to see all required information of each reservation (pax, phone, room number, ticket,….). Inform the pax in bus (Optional) by scanning their voucher (QR code), or by their reservation number The information is sent to Multi Travel back office system so the operation staff at the office can see what is happening. This system can also work offline and automatically send the information when it gets internet. 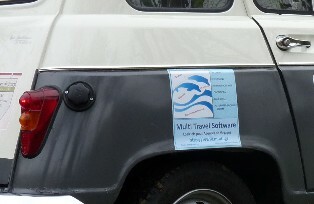 New Web Multi Travel Excursion Web application (hosted on the cloud) handling the back office part. Web B2C (hosted on the cloud) for excursion reservations (linked with Multi Travel Excursion for Windows) Let final customers all over the world book and pay online for your excursions. Beyond our very strong and stable back office systems for Incoming and Excursion, we will show you our B2B web application for hotel rooms to be used by your partners to book online the rooms for their customers thru your allotment (all the info coming directly from Multi Travel Incoming) !!! ***NEW*** We will show you our brand new B2B web application for hotel rooms to be used by your partners to book online the rooms for their customers thru your allotment (all the info coming directly from Multi Travel Incoming) !!! Congratulations to Barefoot Holidays (St. Lucia) who gained the 'Carribean's Leading Tour Operator 2013' award of World Travel Awards, for the second time in a row. We are proud for this achievement and thank you for using Multi Travel Incoming Software. Your hard work has paid off and we are looking forward to see once again the results of your hard work and dedication. 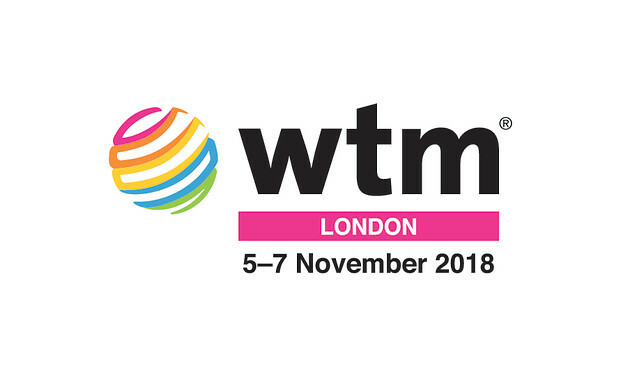 As usually, we will exhibit at WTM2012 in London (5th-8th November). You will find us at stand TT415 in Travel Technology Hall. Let us know if you would like to meet there, you can email us at sales@multi.gr. It will be a pleasure for us to meet existing customers and prospects !! In few days the ITB show in Berlin is opening it's doors! ITV is the world's leading travel trade show. We will spend some days there as visitors and we would be happy to meet our customers or people interested in our software there. Please contact us for a meeting there between Thursday 8th March 16:00 and Saturday 10th March 12:00, we can show you our desktop applications Multi Travel Incoming and Multi Travel Excursions, as well as our new XML system. 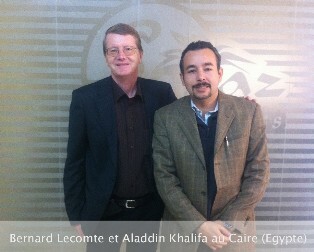 We are proud to announce that we just signed a partnership contract with Mr Aladdin Khalifa, based in Cairo Egypt, who will represent Multi Travel Software in Africa and Middle East. Mr Khalifa is a travel specialist having a great knowledge in computers and we are sure he will be the perfect person to sell and support our software in Egypt as well as all over Middle East and Africa. 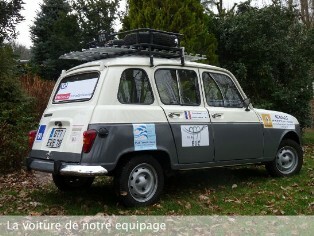 We were happy to sponsor the team Romain Blard - Armand Gaillet who participated to the 4L Trophy raid. Starting in Paris and Bordeaux, participants in the Raid 4L Trophy (1.200 2-person teams) covered more than 6,00*0 kilometers as they headed for the exotic dunes of Merzouga to distribute almost 60 tons of school and sporting equipment, while at the same time respecting the environment and encouraging others to do likewise. 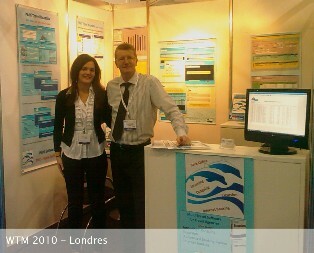 We were exhibiting at WTM 2010 (World Travel Market in London) in the Travel Technology area from 8th to 11th of November 2010. It was amazing to meet so many travel agents from all over the World. We also had the chance to meet some of our customers that we never see during the year and that was very pleasant. We came back full of ideas to make our software fulfil always more of your requirements. A very big thank to all of you who visited us there !! !